SUBVERSIVE III: De Spelende Mens, out now on Fuzz club records! As the title suggests, our new album – and third instalment of the Subversive series – is out now on Fuzz club Records. Following their recent collab with Gnod under the Temple Ov BBV pseudonym, Eindhoven experimentalists RMFTM (fka Radar Men From The Moon) have announced the third and final instalment in their ‘Subversive’ album trilogy – ‘Subversive III: De Spelende Mens’, due for release December 1st. RMFTM’s sound has always blurred the line between droning space-rock and harsh techno/electronica but Subversive III see’s their industrial krautrock take on it’s most incessant, angular and adventurous form – taking cues from the sonic industrialism of Throbbing Gristle, Cabaret Voltaire and Coil and the kinetic motorik rhythms of Neu!, Faust and Amon Duul II.With the Subversive series, RMFTM have sought to deconstruct and rebuild their creative process, pushing themselves to the limit with each and every release and ‘Spelende De Mens’, translated as ‘the playing man’, is the perfect way to conclude the series. 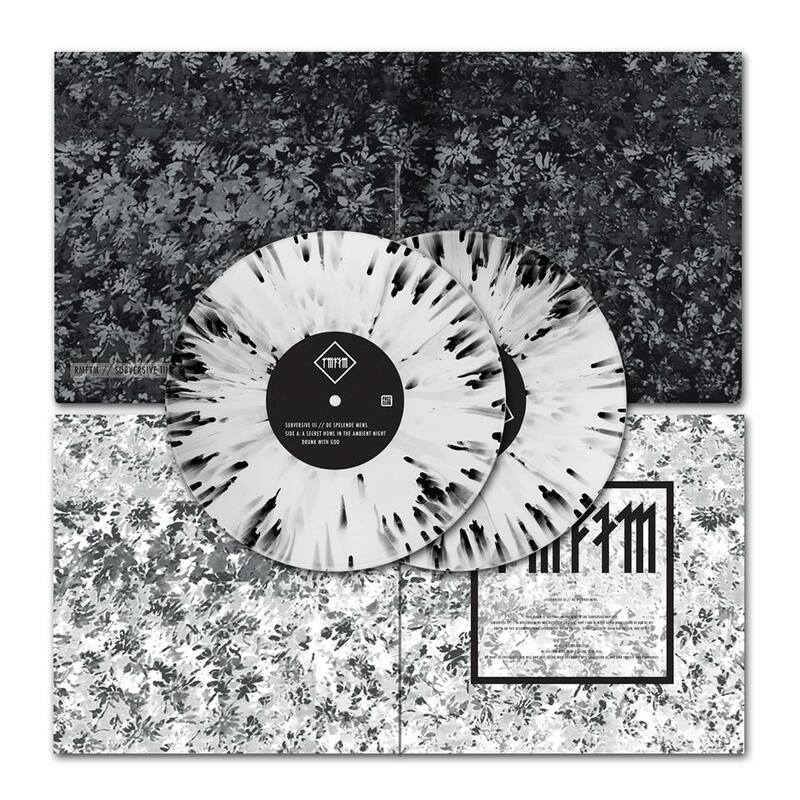 Deluxe vinyl is limited to 200 copies and comes on 180g white vinyl with splatter. The standard version comes on 180g white vinyl. Both versions come in a gatefold sleeve and include Bandcamp download card. This is a double album! New track of our upcoming album: Subversive III // De Spelende Mens out on Fuzz Club Records , Dec 1st. Video by visual artist Merel Stolker.